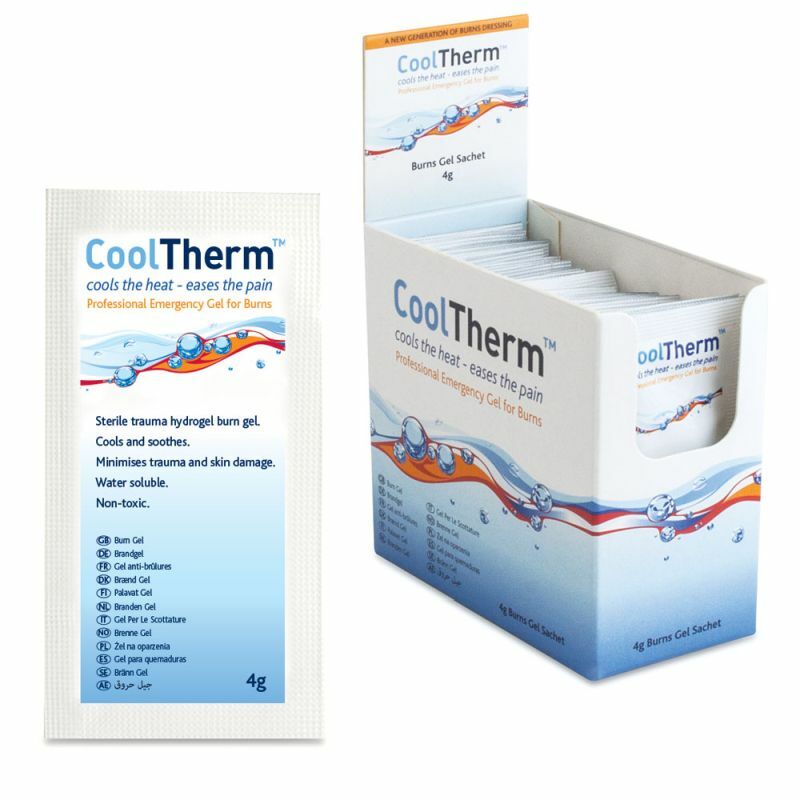 For effectual treating of burns, the CoolTherm Burn Treatment Gel provides unique action of the active gel ingredient, combined with the groundbreaking technology of the non-woven carrier dressing. Designed especially to soothe and protect burns from infection, the CoolTherm Treatment Gel provides a better option for treating burns than traditional bandages and plasters. In some cases, a mild to moderate burn can be awkward to dress depending on the area. This gel delivers the sterile active ingredient directly onto the skin to provide immediate relief, which can then be covered by a light bandage if required. The CoolTherm gel comes in either a pack of 25 individual 4g sachets, perfect for stocking up existing burn kits or to treat smaller injuries, or a pack of six 60ml bottles to treat larger maladies. In cases of minor burns such as mild sunburn, a dressing may not always be necessary for treatment. Topical application of the CoolTherm gel alone will quickly soothe discomfort and relieve pain in the affected area, while still preventing the progress of the burn on unbroken skin. The CoolTherm Burn Treatment Gel is usually dispatched via First Class Royal Mail and delivery should be within 1 to 3 working days.